Most businesses have standard commercial general liability insurance. On November 18, 2014, the National Transportation Safety Board ruled that drones are “aircraft” and subject to FAA authority and regulation. Nearly all business commercial general liability insurance policies exclude aviation and premises liability exposures from coverage. The result of the NTSB’s ruling is any business that owns, maintains, or uses aircraft, including drones, needs specialty aviation insurance. Specialty aviation insurance covers a range of aviation and premises liability risks: aircraft liability coverage, hull (physical damage), medical payments, and much more. Aviation policies are not standardized, and they do vary widely. To acquire aviation insurance for any kind of commercial drone activity, a business should contact a specialty aviation insurer. General liability insurance for commercial aviation business covers similar risks as standard commercial general liability insurance with coverage specific to aviation and airport activities. It provides coverage for products liability and business liability associated with drone sales, distribution, and training activities that are separate from the aircraft operation. Aviation general liability insurance normally covers what is known as premises liability. In traditional aviation operations, airport owners and operators carry a significant amount of remises liability coverage. It protects the business owners and operators against bodily injury and property damage arising out of their aviation operations on the business’s premises as well as its aviation operations away from the premises which are necessary or incidental to such operations. Premises liability coverage is important for drone facilities where bodily injury and property damage can occur from use of the premises. If a drone crashes into a building and causes injury and property damage, premises liability coverage would help to cover it. This coverage forms the basis of an aviation general liability policy and will insure ordinary premises hazards. Premises liability insurance is not just for owners and operators of drone facilities. 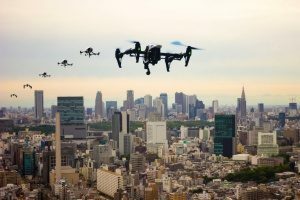 If a property owner or manager knows that drones fly over its premises, the property owner should consider aviation and premises liability insurance policies. Think that’s a stretch? Think again. In 2015, a drone flying over the stadium during a U.S. Open tennis match crashed into the stands. As drones become more and more common at public and private events, property owners and managers should consult with their insurance brokers to determine whether they need additional insurance in the form of aviation and premises liability coverage. Hangarkeepers Liability, for businesses that have the care, custody, and control of other people’s drones or aircraft. This coverage insures that business for damage to an aircraft while it is in that business’s control. Grounding Coverage, which protects a business if a product it supplies causes the FAA to issue a grounding order for a fleet. A business may be found liable for resulting losses if its product did indeed cause the grounding. This coverage only applies to FAA grounding orders, not other grounding issues. Products and Completed Operations Liability protects an airport facility from damage arising out of a sale and/or distribution of a faulty product such as a drone or drone equipment. This coverage protects the airport if the product causes injury or damage after the aircraft leaves their business. It is most often included within the aviation general liability policy as an option. Personal and Advertising Liability covers injury other than bodily injury that may result when an airport facility engages in wrongful eviction, libel, slander, violations of a person’s right of privacy, and infringement of copyright in advertisements. Contractual Liability protects an airport facility when it indemnifies a contractor for the financial consequences of their negligence that causes bodily injury or property damage to a third party. The types of contacts that would enter into play in this context may be tenants, fuel providers, technicians, and similar contractors. Liability Only, which protects the business for property damage and bodily injury resulting from the commercial operation of a drone. Hull coverage, which insures the business for damage to a drone sustained in its commercial operation. Payload coverage, which insures the business for damage to any payload, typically photography equipment and sensors. 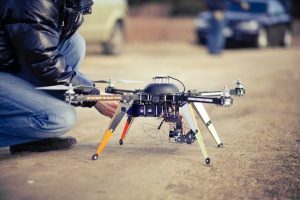 Ground equipment, which insures the drone equipment on the ground, such as computers, controllers, and other ground equipment. Non-Owned Coverage, insures the business against property damage or bodily injury arising from its use of a drone owned by someone else (but not physical damage to the drone itself). For example, a business that uses a leased drone or drone equipment in the conduct of its business should consider this coverage. 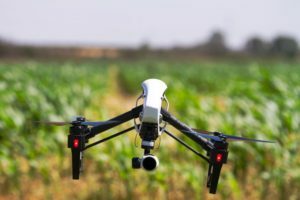 The availability and cost of all of this insurance will depend on such factors as pilot experience, training, the area of drone operation, value of the drone and related equipment, and other factors that impact the risks. As drones become more prevalent, so will accidents. Accidents have already involved a drone that lost power, or the pilot lost control of it. 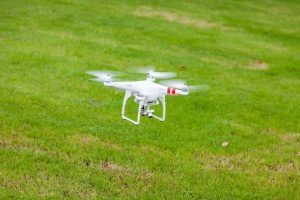 Property owners who know drones fly over may have aviation and premises liability for a drone accident on the property, even if the owner does not participate in the drone operation. Even the most capable pilot can face unexpected and dangerous situations that can injure people or damage property, causing losses that can bankrupt the drone business. Be safe, be smart. Contact a drone insurance agency to discuss insurance for your commercial drone operation and get a free quote.